Shane Masters has it all: a promising career with the Baltimore Banners, a big house, fast cars, financial security, and—up until a month ago—the woman of his dreams. Now he's floundering, with no idea what he did wrong and no idea how to win her back. To make matters worse, her brother—Shane's former best friend—shows up and decides to get involved. Chloe Hunter has never run from a challenge in her life—until the weekend she visits Shane in Baltimore and realizes he isn't exactly the same man she fell in love with all those years ago. He's too accustomed to getting what he wants and Chloe refuses to be just another prize for the taking. That doesn't mean she's giving up, not yet. Shane will stop at nothing to win Chloe back. But when the past suddenly collides with the present, will he fight for a future with her—or will the game end before their chance to be together even starts? 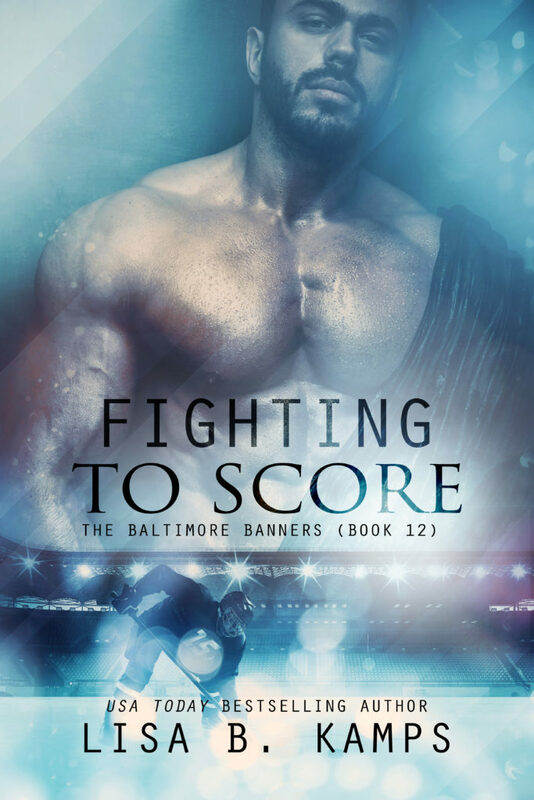 While Lisa writes a lot of hockey - one such series, The Baltimore Banners, features "…hard-hitting, heart-melting hockey players…" [USA Today], on and off the ice - she also delves deep *ahem* into the heat with a series of hot and heroic firefighters who put more than their lives on the line in the Firehouse Fourteen series. She's recently introduced a whole new team of hot hockey players who play hard and love even harder in her Banners' spin-off series, The York Bombers. The Chesapeake Blades--a romance series featuring women's hockey--also recently launched with WINNING HARD. Her newest series, Cover Six Security, will launch in early 2019.